KUALA LUMPUR (Bloomberg) -- Volkswagen AG ended partnership talks with Proton Holdings, Malaysia's state-controlled automaker, because the German carmaker had “other priorities,” Proton said. The Southeast Asian company “acknowledges” Volkswagen's decision and will forge ahead with its current strategy, including a product collaboration with Japan's Mitsubishi Motors Corp., it said in a statement late Sunday. Following the news, Proton shares fell the most in more than 13 months in Kuala Lumpur trading, down 5.7 percent. By comparison, Proton fell 8.5 percent on April 27, 2009. Proton is seeking foreign partners to help bolster exports and develop new models to compete with Toyota Motor Corp. and Honda Motor Co. in its home market. Proton's need for a strategic partner “is crucial at this juncture before Proton gets left further behind,” with plans to enter the export market, OSK Research Sdn. analyst Ahmad Maghfur Usman said in a report today. “Innovativeness in the automobile industry is moving rapidly,” he said. 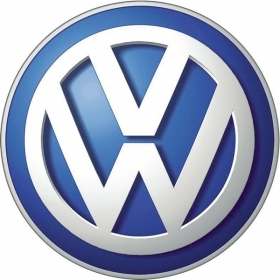 “Talks that might have been taking place recently have not proceeded anymore and there will not be further talks,” said Peik Von Bestenbostel, a Wolfsburg-based spokesman for Volkswagen, in a telephone interview today. He declined to comment further. This is the second time the companies have abandoned talks. In November 2007, Proton ended more than 12 months of negotiations with Volkswagen to give itself more time to reverse five quarters of losses. Proton, formed in 1983 by then-premier Mahathir Mohamad as an emblem of industrialization, made a profit of 22.8 million ringgit ($6.8 million) in the three months ended March 31 compared with a loss of 323 million ringgit a year earlier. Sales climbed to 2.26 billion ringgit from 1.4 billion ringgit. “Proton needs to secure a strategic alliance in order to optimize their plants' utilization and ensure long-term survival,” RHB Research Institute Sdn. said in a report today. Proton will focus on penetrating other Asian markets in the “near future” and remains “committed” to expand in China with Youngman Automobile Group in China, it said in the statement. It is also discussing possible technical alliances with Renault SA and the former General Motors Corp. to help it make new models, Proton said in April 2009.